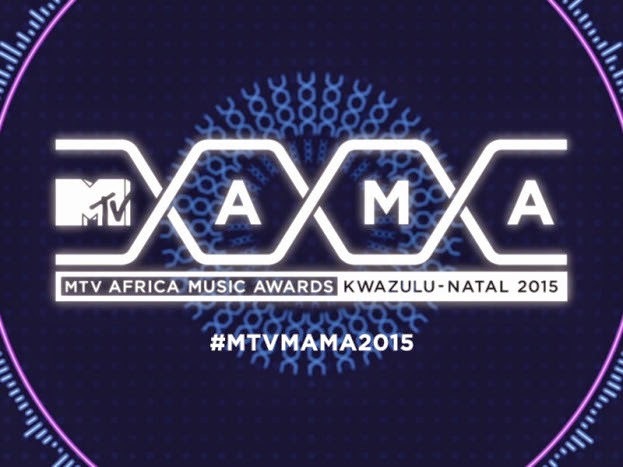 Home / Events / MTV MAMA / News / The MTV Africa Music Awards Return! The MTV Africa Music Awards Return! Durban, 21 May 2015: A decade after bursting onto the world stage, Viacom International Media Networks (VIMN) Africa and MTV Base (DStv Channel 322) are once again shining a global spotlight on African music, creativity and achievement at the fifth edition of the MTV Africa Music Awards (MAMA). The MTV Africa Music AwardsKwaZulu-Natal2015, brought to you by KwaZulu-Natal Province in association with Absolut and in partnership with The City of Durban, returns to the Durban International Convention Centre (ICC), KwaZulu-Natal, South Africa on Saturday 18 July 2015. The definitive annual celebration of African talent, MAMA 2015 takes "evolution" as its theme, recognising and rewarding musicians and achievers who have made the most impact on African youth culture over the last 12 months, while also celebrating the development of the continent's talent and creativity over the last 10 years. The ceremony will feature stunning performances from African and international artists along with unique collaborations. MAMA 2015 will celebrate African talent across 17 award categories such as Best Male, Best Female, Best Song and Best New Act Transformed by Absolut. The contribution of artists from Portuguese and French-speaking Africa will also be recognised in the Best Lusophone and Best Francophone categories. In line with the MAMA 2015 "evolution" theme and VIMN Africa's 10-year celebration, this year's show will also feature a special edition Artist of the Decade category to recognise artists whose careers have flourished throughout the last 10 years. Additional categories include the MAMA Leadership Award and Personality of the Year. The nominations for the awards will be revealed on 11 June 2015. Alex Okosi, Senior Vice President & Managing Director, Viacom International Media Networks (VIMN) Africa, Desmond Golding, Head of Department of Economic Development, Tourism, and Environmental Affairs, KwaZulu-Natal Province, Melanie Campbell, Pernod Ricard Portfolio Marketing Manager and Tim Horwood, Channel Director,MTV Base revealed the news today at The Southern SunElangeni & Maharani Hotel, Durban in the presence ofAKA, Bucie, Big Nuz, Cassper Nyovest, Dream Team, DJ Tira and Patoranking. Commented Alex Okosi, Senior Vice President & Managing Director,Viacom International Media Networks Africa, "We are thrilled that the MTV Africa Music Awards will be returning to Durban and KwaZulu-Natal on 18 July, a date famous for being the birthday of Nelson Mandela - what better day could there be for staging this inspirational celebration of African achievement and creativity that showcases Africa's best talent on the world stage." Desmond Golding, Head of Department of Economic Development, Tourism, and Environmental Affairs, KwaZulu-Natal Province, commented, "In 2014, the world saw how Durban and KwaZulu-Natal leveraged global events such as the MTV Africa Music Awards to realise our tourism goals. After the major success of the MAMA in Durban last year, we are delighted to welcome back MTV Base and the MAMA awards to KwaZulu-Natal this July. By attracting ground-breaking events like the MAMA to KwaZulu-Natal and Durban, we continue to make a significant contribution to economic growth and tourism in the region." "We are once again proud to be part of a pan-African music celebration such as the MAMA," saysMarketing Director of Pernod Ricard SA, Charl Bassil, "The partnership with Viacom International Media Networks Africa allows us to once again affirm our category thought leadership whilst utilizing the MAMA platform with our "Africa is Absolut" campaign, to be catalytic in helping transform artists lives by driving support for the nominees of the Best New Act Transformed By Absolut and showcasing their talent to all of sub-Saharan Africa." First staged in 2008, the MTV Africa Music Awards has recognised the talent of musicians, achievers and personalities from across Africa, rewarding iconic artists and gamechangers such as 2Face Idibia, Big Nuz, Davido, D'Banj, Flavour, Gangs of Ballet,HHP, Fally Ipupa, Liquideep,Mafikizolo, Lira, Nameless, Lupita Nyong'o, Clarence Peters, DiamondPlatnumz, Anselmo Ralph, Sarkodie, P-Square, Tiwa Savage, Cabo Snoop, Toofan, Zebra & Giraffe, Uhuru, Wahu, and many more. The MTV Africa Music Awards2015 will broadcast live on MTV Base (DStv Channel 322) andMTV (DStv Channel 130) on Saturday 18 July. The show will also be transmitted worldwide on partner stations and content platforms from 18 July. For more information on the 2015 MTV Africa Music Awards KwaZulu-Natal, please go towww.mtvbase.com or http://mama.mtv.com, like us on Facebook atwww.Facebook.com/MTVBaseVerified, or follow us on Twitter and Instagram@MTVBaseAfrica. To join the conversation about the awards please use the hashtag#MTVMAMA2015.